North Korea appears to have started dismantling important parts of its main satellite launch center. The activity appears to fulfill a promise to United States officials by North Korea's leader, Kim Jong Un. Some experts believe North Korea is trying to build trust with the U.S. The two sides continue diplomatic talks aimed at ending North Korea's nuclear weapons program. Other experts say dismantling some parts of the launch area will not reduce North Korea's military ability. They also worry that the work is being done without verification. The website 38 North said satellite pictures from July 20 to 22 show efforts to dismantle parts of the Sohae launch area. The parts include a rocket engine test stand used to develop liquid-fuel engines. Such engines are used for long-distance missiles and space vehicles. A building where space launch vehicles were built before being prepared for launch also was taken apart, said 38 North. "These facilities are believed to have played an important role in the development of technologies for the North's intercontinental ballistic missile program," Joseph Bermudez wrote. He reported the findings saying that the North Korean efforts were an important confidence building act. An official from South Korea's presidential office said Tuesday that Seoul has also seen the activities at the Sohae launch site. Other experts said North Korea is giving up little in dismantling the rocket engine test center. Adam Mount is an expert at the Federation of American Scientists. He said he is worried about North Korea's decision to dismantle its facilities without verification. Such a step would require international inspectors. In May, North Korean officials invited international reporters to watch the destruction of tunnels at its nuclear testing area. But, they did not invite international experts. Mount said in an email that North Korea still has not dismantled centers that produce or store nuclear or missile systems or transportation for the missiles. Lee Choon Geun is a missile expert at South Korea's Science and Technology Policy Institute. He said the North's action was an important development and may lead to more activities at the area. Lee said, if North Korea dismantles the entire Sohae launch area, it would reduce greatly the country's missile threat. He said other centers in North Korea are not as well built. But Mount disagrees. He said the threat reduction would be small. He added that North Korea has missiles that do not require a special launch center. After his meeting with Kim in Singapore on June 12, Trump said he was told by Kim that the North was "already destroying a major missile engine testing" area. 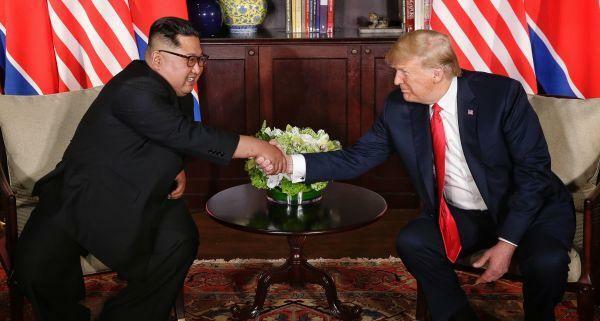 The two men ended the meeting by saying they both wanted a Korean Peninsula free of nuclear weapons. But, some experts do not believe Kim will ever give up his nuclear weapons because he may see them as the best guarantee of his survival as leader. The government rushed through legislation aimed at Mafia leaders. 5.A building where space launch vehicles were built before being prepared for launch also was taken apart, said 38 North. They will take that problem apart and analyze it in great detail. If my computer stops working again, I will take apart it myself. Literature websites have played an important role in this trend. They played an important role in the Revolutionary War period and years leading up to it.